Studio Athletica | Downtown Toronto Back Physiotherapy - Call Now. Below you will find a list of some conditions that we see with our Downtown Toronto back physiotherapy clientele. At Studio Athletica, we specialize in several different services that can help treat your health problems. It is not uncommon for athletes to sustain injuries in areas that are normally not seen in people until their later years as they age naturally. However, vigorous sports and physical activities can accelerate the process in athletes. 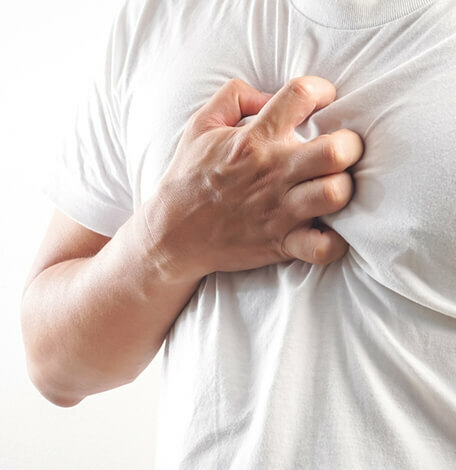 If you are experiencing health issues affecting your mid back and chest area, below you will find a list of related symptoms and conditions. At Studio Athletica, we specialize in several different services that can help treat your health problems. Please feel free to read more about your symptoms, conditions and our suggested treatments, or contact us to pinpoint the best treatment to heal your body. The downtown Toronto back physiotherapy program is the gold standard. Our Downtown Toronto back physiotherapy program sees a lot of muscle strains. A muscle strain (pulled muscle) in the mid back and chest occurs when the muscle fibres endure strenuous activity beyond their limits. Both professional and amateur athletes may experience muscle strain when sprinting, stretching or changing direction quickly. Mild muscle strains will usually result in soreness and swelling. Additionally, the range of movement around the affected muscle may be inhibited. More serious strains will cause considerable pain and severe restriction in movement. Our Downtown Toronto back physiotherapy program sees a lot of osteoporosis. A bone disease that leads to less bone formation as well as poor bone quality. Osteoporosis causes an increased risk of weak bones that are more likely to break or fracture. Osteoporosis does not have any immediate symptoms and most people aren’t aware that they may have the disease until they experience a fracture or break in unexpected areas, even after minor injuries. This is because their bones are weaker and more brittle due to their bone loss. People who lead an active lifestyle, weight lift, or participate in contact sports should undergo screening for Osteoporosis to maintain the strength of the bones. Our Downtown Toronto back physiotherapy program sees a lot of thoracic outlet syndrome. Thoracic outlet syndrome is an injury that involves the compression of blood vessels and nerves that extend from the neck to the shoulder. It can feel like continued pain and numbness in the shoulder and throughout the arm, and it is often difficult to diagnose. High performance athletes such as professional baseball players have suffered from this type of injury because the sport involves frequently moving in a motion that raises their arm(s) above their head. Our Downtown Toronto back physiotherapy program sees a lot of scoliosis. Scoliosis is a disorder that causes an abnormal curve of the spine, or backbone. The spine has normal curves when looking from the side, but it should appear straight when looking from the front. Scoliosis may worsen for athletes who engage in sports that involve rotation of the body, such as tennis. In fact, research has proven that young athletes who participate in sports that place an uneven load on the spine have a higher risk of scoliosis progression. Our Downtown Toronto back physiotherapy program sees a lot of facet joint sprains. Facet joints are located in the back and help support and control the movement between the individual vertebrae of the spine. Facet joint sprain can happen when the cartilage surrounding the joint becomes damaged or tears when a excessive force is placed on the facet joint. This type of sprain is typically seen in athletes who perform excessive amounts of bending, lifting and twisting movements, such as gymnasts. Symptoms include a gradual onset of back pain, aching, and stiffness. Pain could also be felt in the chest and rib cage. 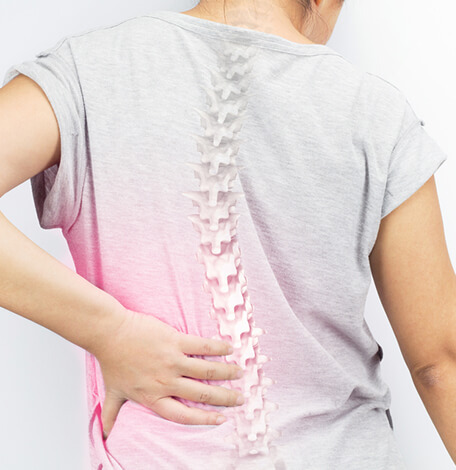 Our Downtown Toronto back physiotherapy program sees a lot of costovertebral joint sprains. Costovertebral joint injuries typically occur after an individual has suddenly twisted, bended or over-extended the spine. This injury may occur as a result of repetitive twisting or bending motions. It is not unusual to see this type of injury in sports, particularly in gymnasts. People who suffer from a costovertebral joint sprain will likely feel symptoms that include, pain when twisting or bending to the side. Taking a deep breath, coughing, or sneezing may cause pain in one side of the spine. The pain may also radiate to the shoulder blade or chest. Our Downtown Toronto back physiotherapy program sees a lot of rib fractures. 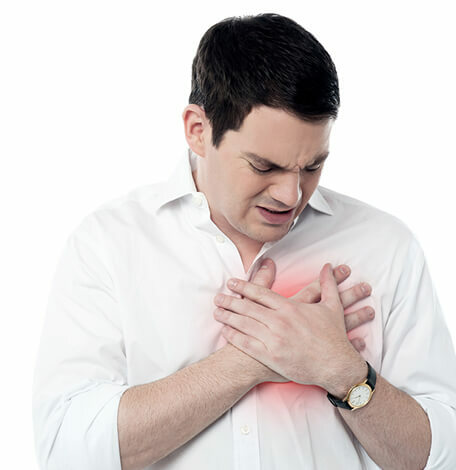 Rib fractures are the most common serious injury of the chest. They occur most commonly in the middle and lower ribs following a direct impact of a ball, bat, hit, push, kick, or fall. They may also occur with constant repetitive movements in sports such as weightlifting, or sports involving throwing and rowing. Symptoms of a rib fracture will include pain directly at the site of the injury, pain with exercise or movement, pain while breathing, twisting, or bending, and apparent bruising or swelling in the area. Our Downtown Toronto back physiotherapy program sees a lot of compression fractures. A compression fracture occurs when the bone collapses – typically short bones, such as the vertebrae in the spine. Osteoporosis is a condition that causes thinning of the bone tissue and loss of bone density. It’s the most common cause of compression fractures of the back. It usually affects people as they age naturally. However, the process can be accelerated in athletes who are involved in rigorous contact sports. People who lead an active lifestyle, weight lift, or participate in contact sports should undergo screening for Osteoporosis to maintain the strength of the bones.